EVANSTON, Wyo. — A University of Utah School of Medicine employee who was last seen in Wyoming Saturday was found safe at a homeless shelter in Southern Utah Tuesday morning, officials said. According to a report from KSL News citing Evanston police Lt. Ken Pearson, Leakae Roberts, 42, was last seen in Evanston, Wyoming, at her sister’s house where she was visiting from Utah with her two children. Roberts’ sister left the house to run an errand, but when she returned, Roberts and her car were gone. Her two children were still in the house. Roberts’ sister filed a missing persons report the next morning, and law enforcement posted Roberts’ picture on their social media where it was shared 5,500 times and reached nearly 200,000 people, Pearson said. Three days after she went missing, Roberts was located in a Southern Utah homeless shelter by staff, according to local law enforcement. Officials do not know why she was in a homeless shelter. Law enforcement mentioned that Roberts said she simply needed to get out of Evanston, though she does not live there, Pearson indicated. She is “alive and well” and is currently being reunited with family members, according to a Facebook post by Uinta County Law Enforcement Services. “Thank you to everyone in the wonderful land of Facebook for your extreme outpouring of support and assistance with locating Roberts!” the post read. 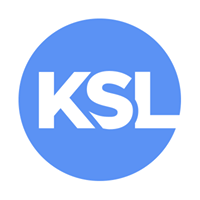 Written by LIESL NIELSEN, KSL News. She left her kid’s and ran off??? Authorities need to put those children in some kind of protective custody till the figure out what screw came loose!